Is coaching your hobby or your business? Too many talented coaches never move past the hobby (or very part time) stage because they don’t get their business set up properly. Register for the “Business of Coaching” complimentary training here. You’ll discover the 5 steps to get your coaching business set up and organized properly… so you have the confidence to attract and sign up your ideal clients! …So you can focus on coaching your clients, while your systems take care of the rest – marketing, invoicing, getting feedback, staying in touch, updating your calendar and more. I highly recommend this training and encourage you to sign up even if you can’t make it live. Let’s get your “business back end” in shape! Kate and Melinda – my “Tuscany Sisters” who are leading the training. 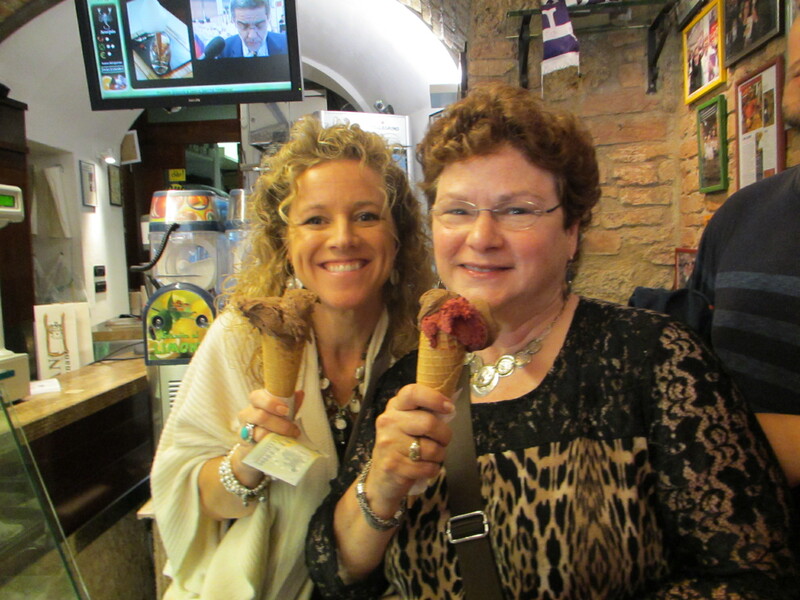 I love this picture of them enjoying gelato when we were together in Italy for a mastermind retreat!